Your Preschool Director & Storyteller Guide provides an overview of the FaithWeaver Friends® preschool program along with quarter-specific helps and weekly skits for Gathering Time. In addition, you'll find ideas for involving families, training and retraining volunteers, fundraising, health and safety, and discipline. 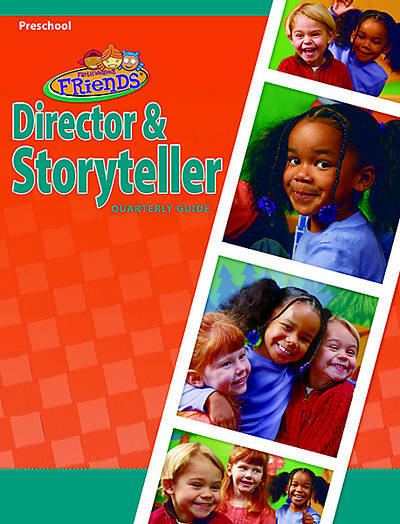 Everything is geared to help you help your preschoolers learn about their friend named Jesus. *One is included in each Preschool Kit.